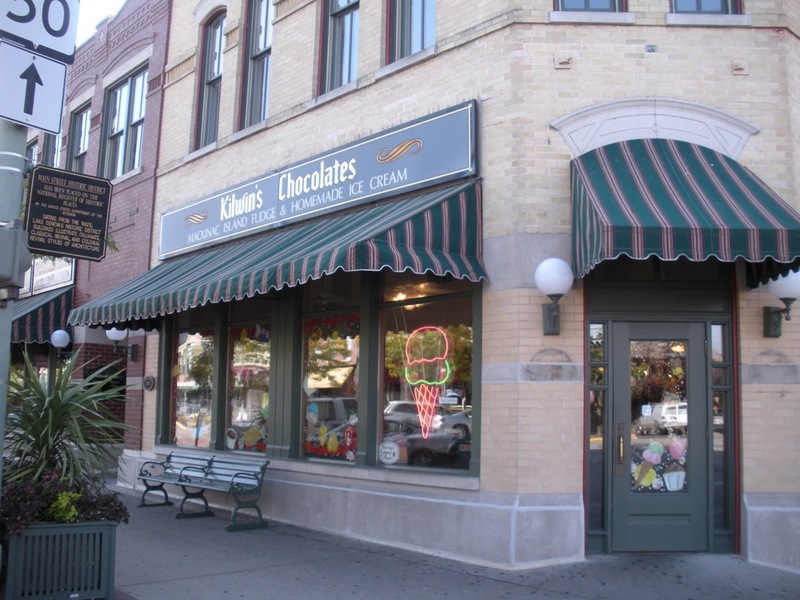 Welcome to Kilwins Lake Geneva, nestled on the corner of Main and Broad Streets in beautiful Lake Geneva, Wi. We are located in the historic Landmark Center Building, just one block from the lake. At Kilwins Lake Geneva you will find many visitors and local friends alike, stopping by to enjoy a wide variety of our taste tempting treats! Just pick a favorite from one of our mouth-watering, home-made goodies. Watch as we make our hand-paddled fudge, delight in a warm waffle cone filled with Kilwins Original Recipe ice cream, munch on our popular peanut brittle, delight in a fresh-dipped caramel apple rolled in salted pecans or just plain watch and enjoy any one of our many chocolate creations being made. If you can't make it up to the lake we'll be happy to accommodate you by shipping or delivering your custom order for birthday's, corporate gifts, events, weddings, showers or a heartfelt thank-you gift. A special treat from Kilwins Lake Geneva will be one of the best you'll ever enjoy! Kilwins Lake Geneva is a great place to have fun while you work! Come in for an application today!